This beautiful indoor herb garden combines decoration and function. 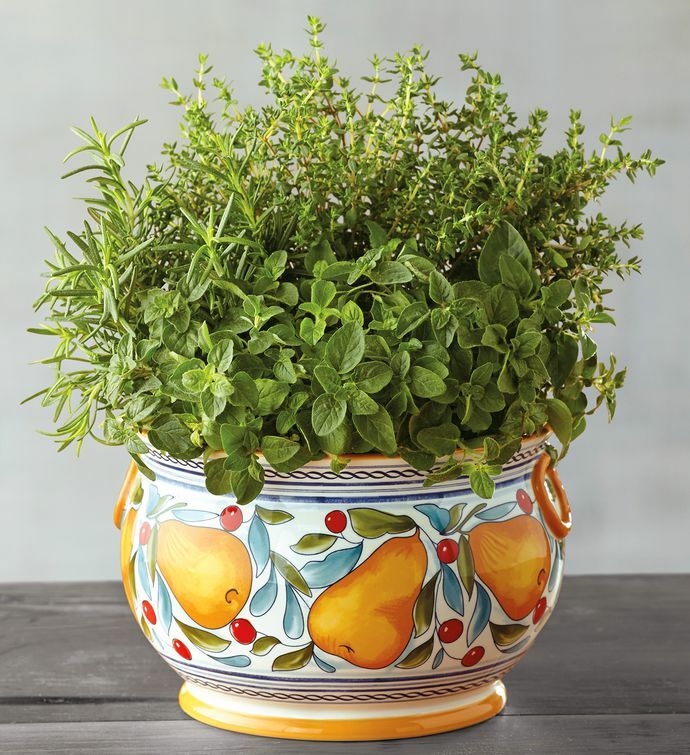 Add fresh thyme, rosemary, and oregano to savory Italian dishes and feel a little closer to il bel paese. 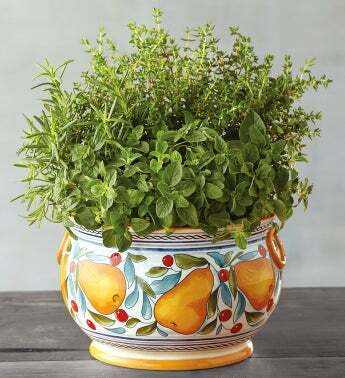 The round plant pot is decorated with a design of pears and berries, inspired by Tuscan pottery and dishware.